My pick of the free 100 Bestselling Kindle books is Peas, Carrots and an Aston Martin by Hannah Lynn. It is number eighty-five at the time of publication. Again the cover and the plot line really sold me on this choice. It is so different and I love the fact that there is a series. Eric Sibley has it all; great job, big house, beautiful family. Even when his estranged father dies, Eric can’t help but dream about the luxuries he’ll spend his inheritance on. Unfortunately, Eric’s late father, had other ideas. Life quickly becomes a chaotic kaleidoscope of grumpy pensioners, wellington boots and vintage automobiles as Eric is forced to juggle his hectic career and family life in London, with regular visits to the small riverside town of Burlam. Plagued by heavy machinery mishaps, missed deadlines and drug raids, it’s not long before his job, his marriage and his sanity are hanging in the balance. Will he get his hands on his father’s treasured Aston Martin before he loses all three? 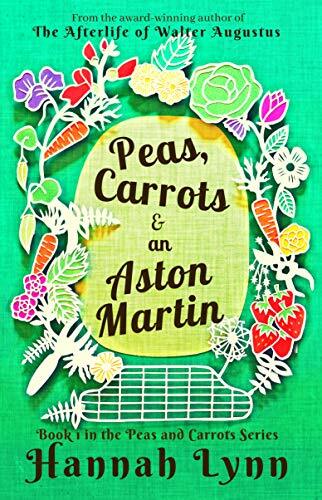 Peas, Carrots and an Aston Martin is the first book in the delightfully funny new series from the award-winning author of The Afterlife of Walter Augustus. This quintessentially British novel will have you laughing and crying until the very end. Also get Book 2 in the Peas and Carrots series, Absolutely FREE, details inside.